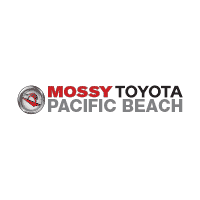 At Mossy Toyota, we’re part of the Mossy Automotive Group of family-owned and -operated dealerships that’s been serving the San Diego community since 1921. Our wealth of experience and commitment to the Toyota brand have allowed us to provide countless San Diego drivers with outstanding vehicles at incredible prices, and we give our customers the type of car-buying and -servicing experiences they desire. If you’re looking for a new Toyota car, truck, van or SUV in the National City area, let our Toyota dealership in San Diego find the right ride for you. From modern models like the Toyota Camry and Corolla to tough trucks like the Tacoma to the ever-popular Prius, we have a Toyota that’ll catch your eye. If you’re shopping on a budget, our selection of pre-owned cars from Toyota and other top makes will let you roll off the lot without breaking the bank. Let our talented Toyota finance team find a payment plan that works for you, and let our Toyota sales staff set you up with the right car for your daily drives. Our Toyota dealership serving El Cajon and Santee also serves as a Toyota service and repair center, and we’re happy to take care of all your maintenance needs no matter what make or model vehicle you drive. Whether you need a quick oil change and tire rotation or require a more significant repair, we’re happy to help. Regardless of the work you need to get back on the road, we’ll diagnose and take care of your Toyota quickly and efficiently. With our convenient location at 4555 Mission Bay Drive in San Diego, Mossy Toyota is a quick trip away for drivers from La Mesa, Poway, La Jolla and all over the Greater San Diego area. With our easy-to-access location, it’s no wonder why drivers throughout the area rely on us for recommendations from local restaurants to favorite escape rooms. Come to us with all of your Toyota needs today, and see what’s made us such a popular option for Southern California drivers over the years!